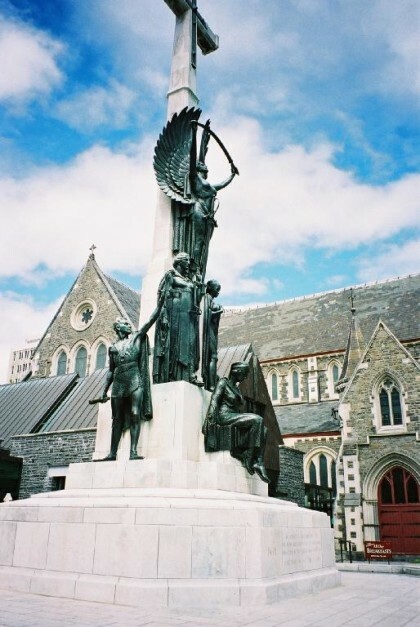 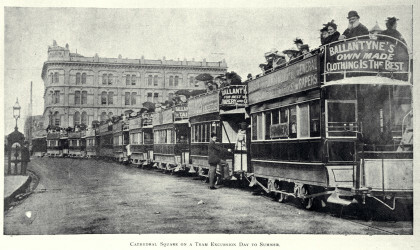 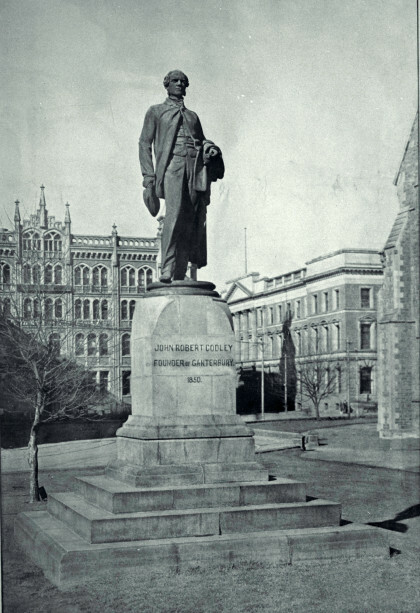 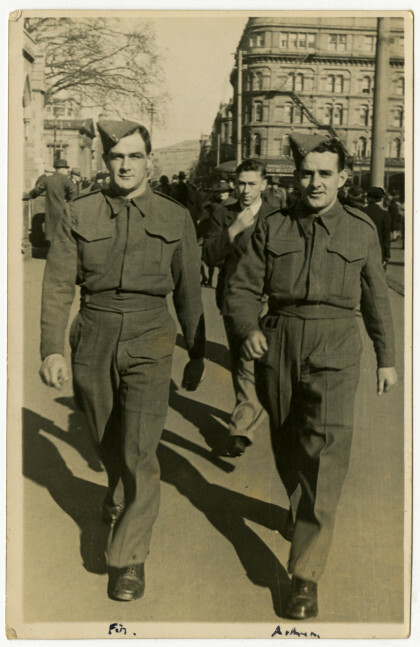 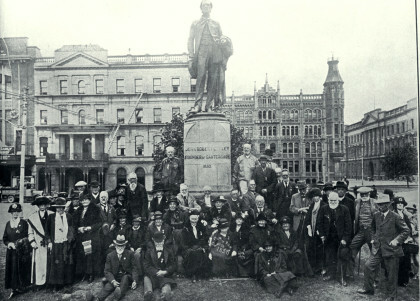 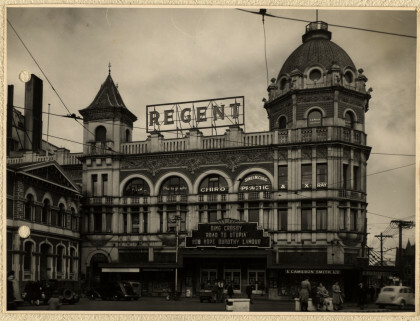 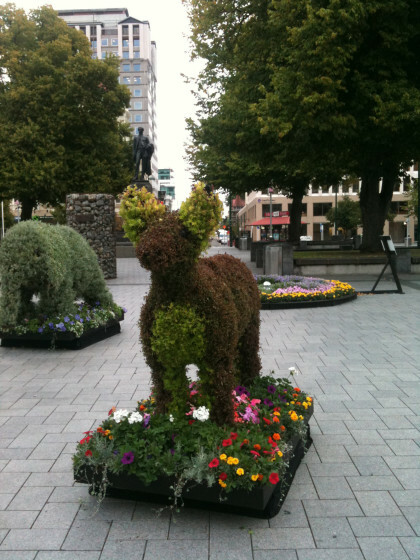 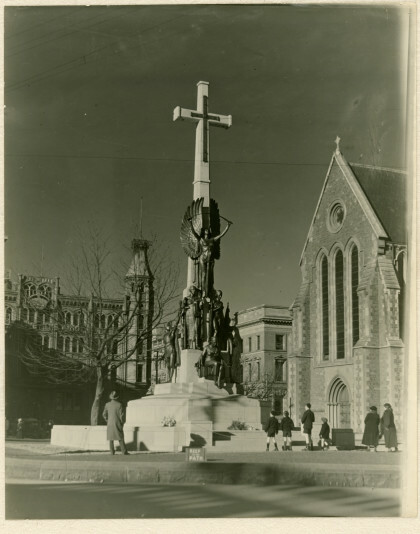 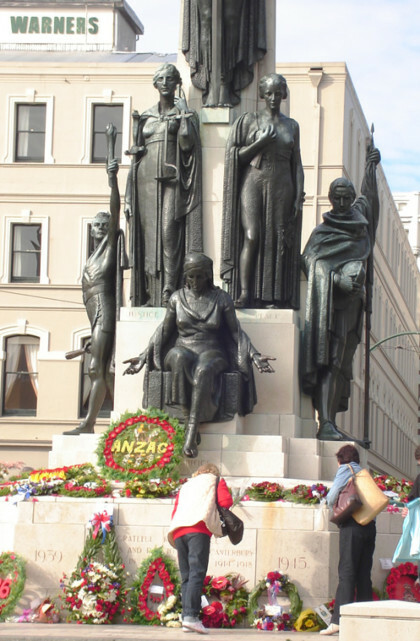 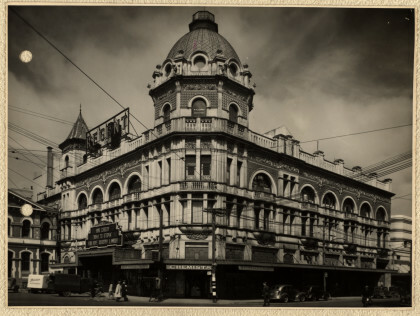 This was Exhibit O in a successful action in the Court of Appeal brought by George Gould and the Save the Square Committee against the Christchurch City Council in 1930. 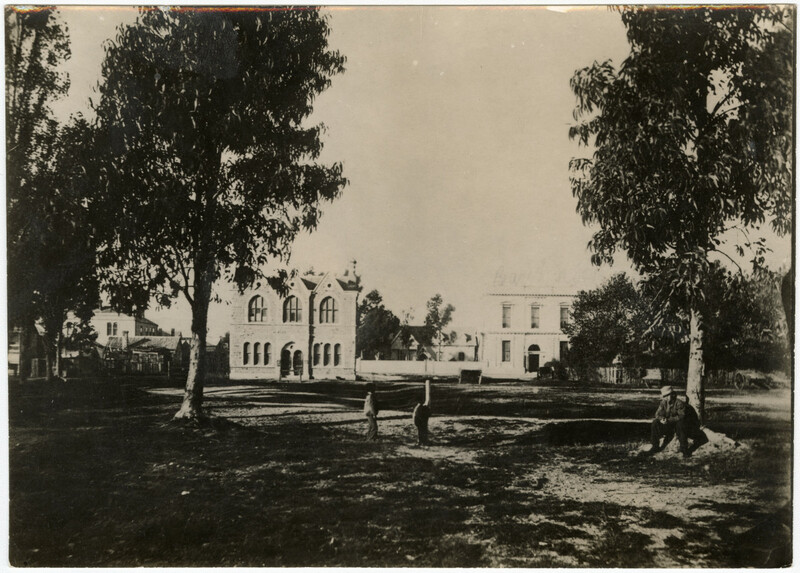 On the right is the Torlesse building. 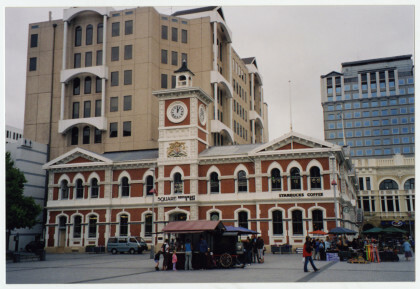 Built in Gothic style, it was the first stone structure in the Square and was a small office block. 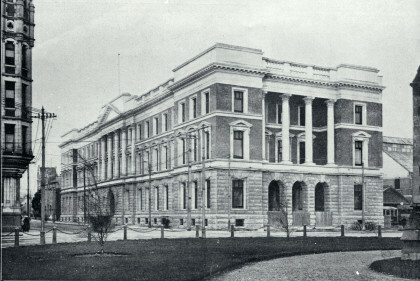 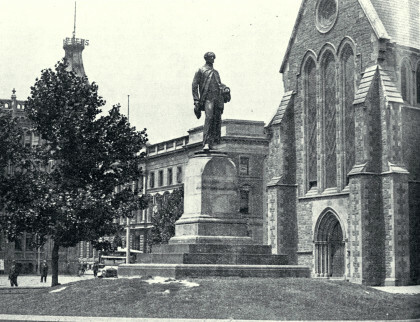 It was demolished in 1916. 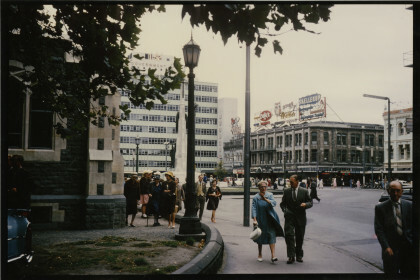 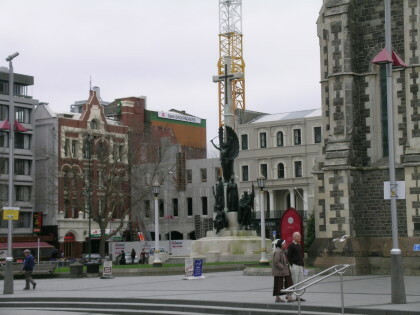 The original BNZ building is in the centre. 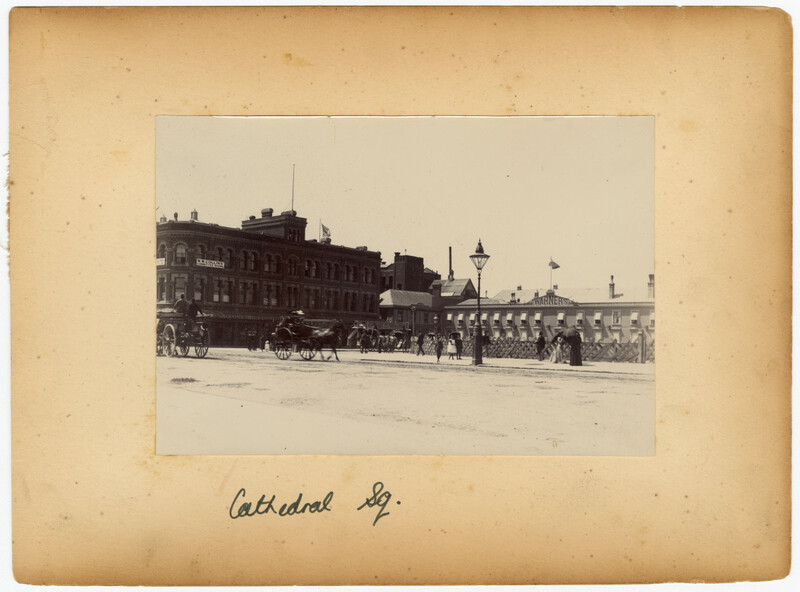 View of Cathedral Square towards Warners Hotel with Hansom cabs in the foreground. 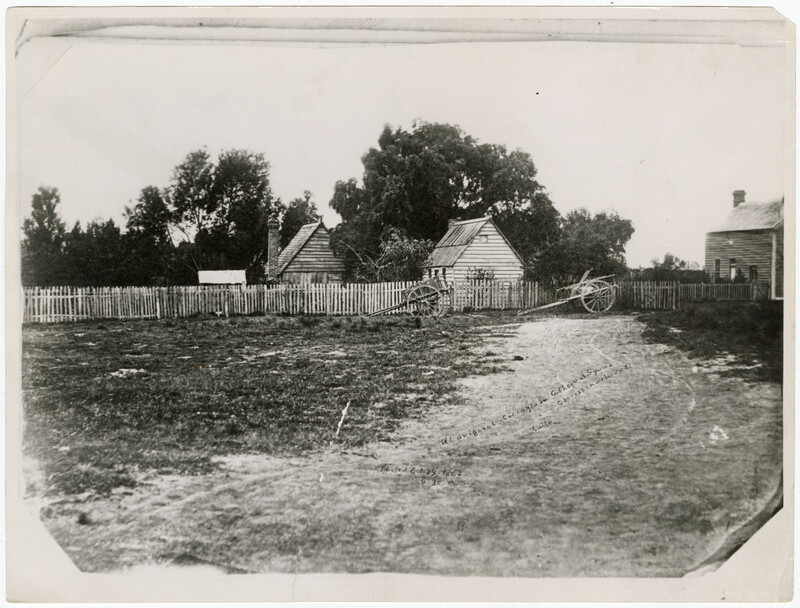 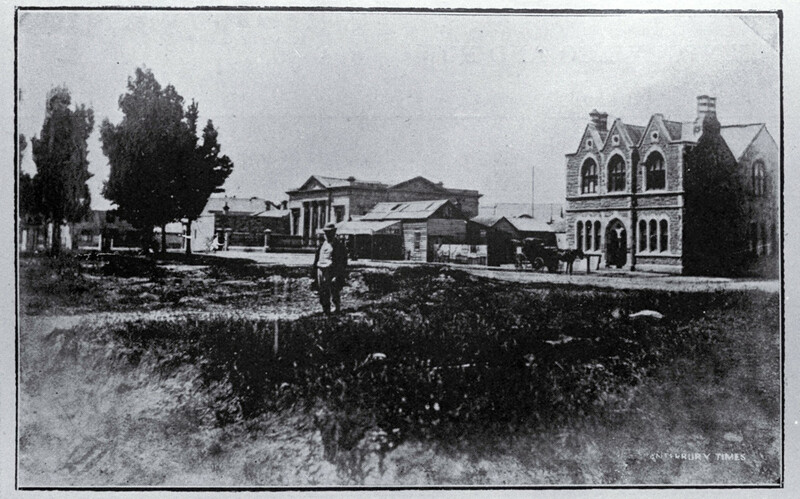 Early view of cottages and surrounding land prior to being transformed into Cathedral Square. 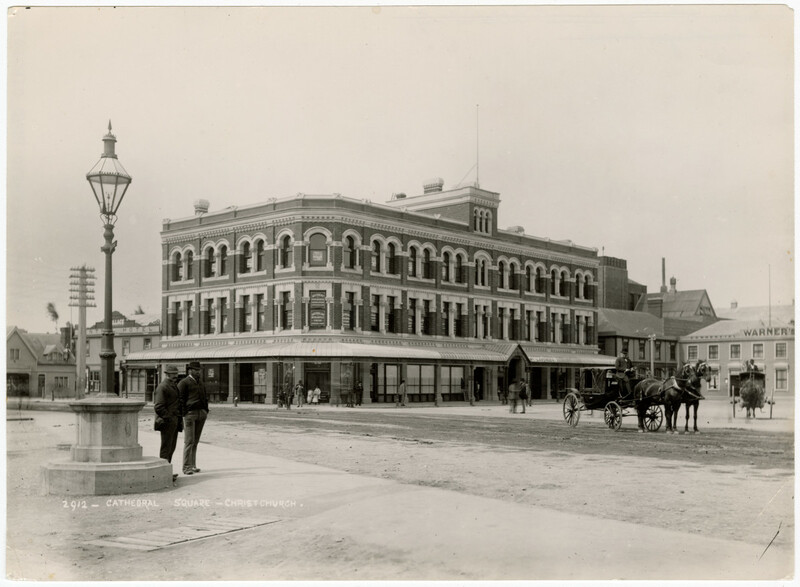 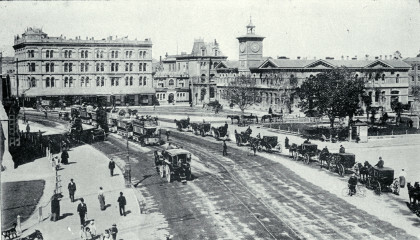 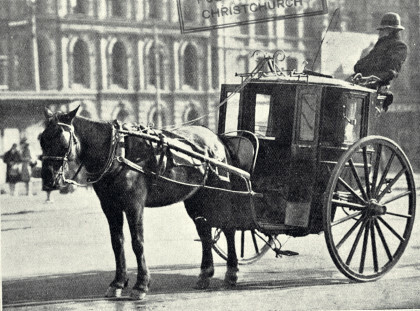 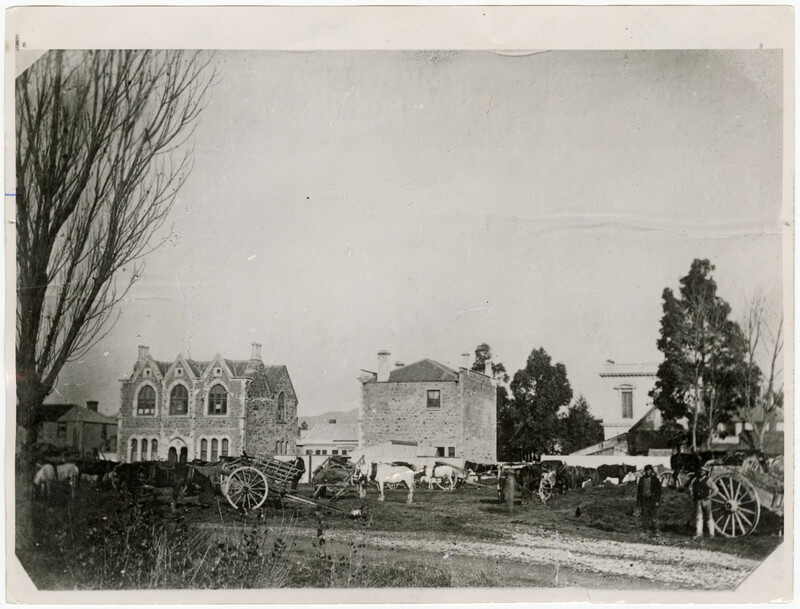 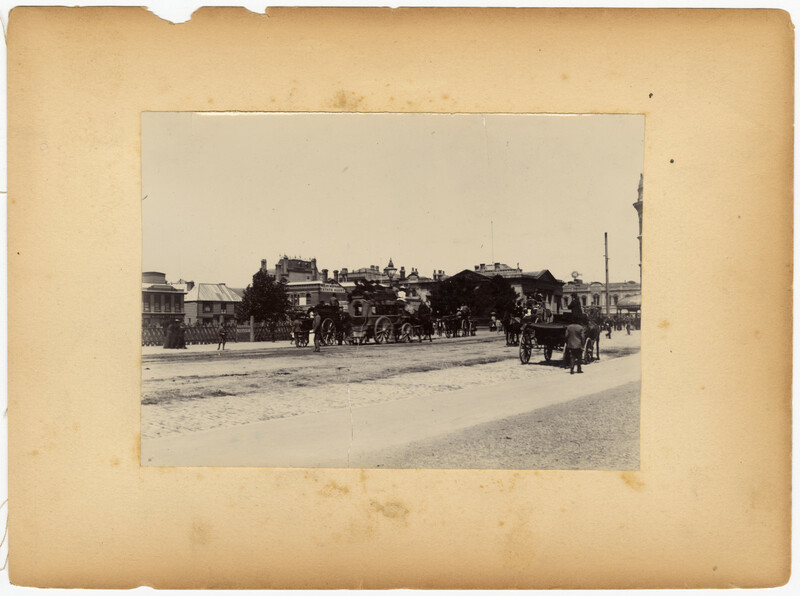 View of South East corner of Cathedral Square with horses and carts travelling along in the foreground and the Bank of New Zealand building in the background. 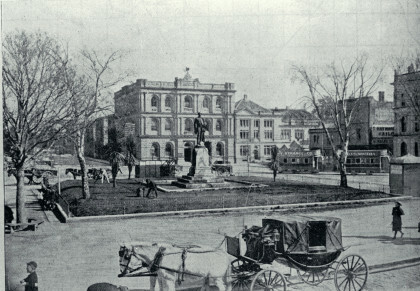 View of the area now occupying Cathedral Square. 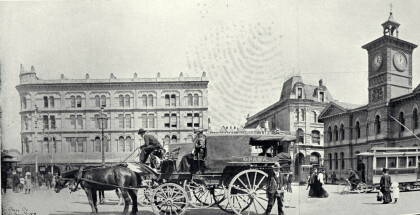 Horses and carts are in the centre with the Torlesse Building to the left. 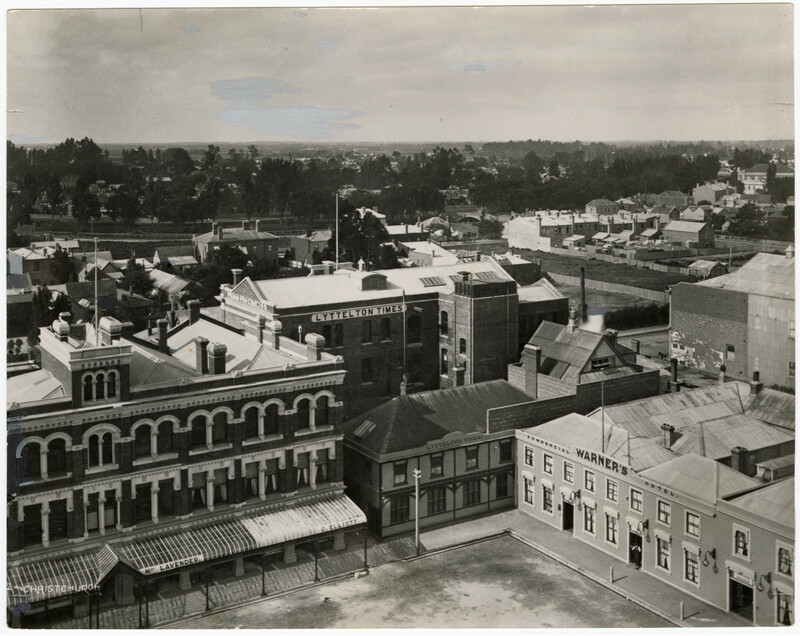 North East corner of Cathedral Square looking towards Warners Hotel. 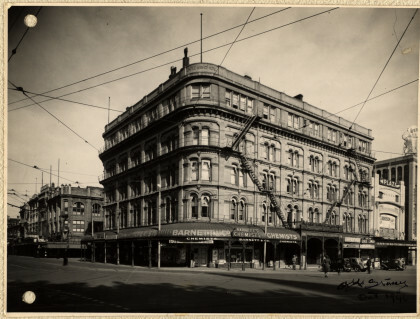 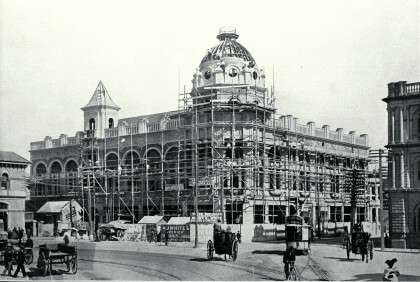 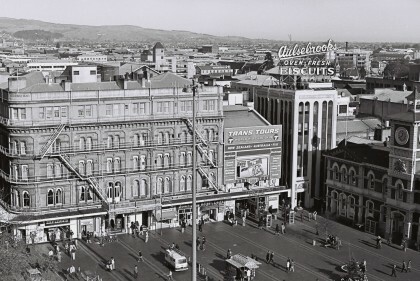 North East corner of Cathedral Square showing Warners Hotel and Lyttelton Times building. 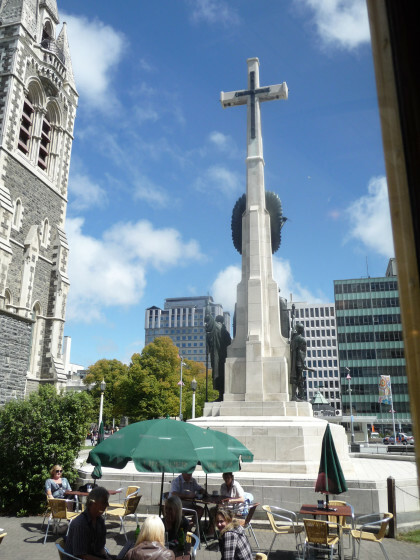 Taken from the top of ChristChurch Cathedral.